I am currently working on a commission for a replica of the Berkasovo II ridge helmet. 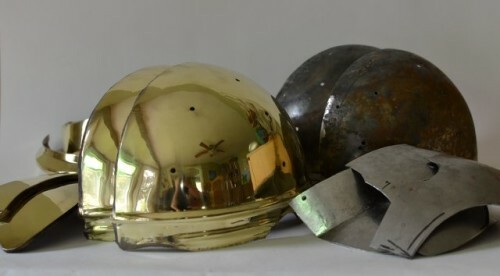 While ridge helmets are of simple enough construction, making the decorative sheathing to precisely cover the underlying structure makes the fancy ones a lot of work. This pile of parts should be coming together in the next few days.